This week is Spring Break for me. I'm sitting at home enjoying this beautiful weather (and so glad winter is o-v-e-r!) and spending time with my kiddos. It's also a bittersweet time for me because really, I know when I return after this week, I only have a few more weeks left. Those few weeks will be greeted with excitement that I will have my summer off here soon but sadness that soon they'll be leaving me. And really, whether I like it or not, I still need to plan for those last few weeks. As I head into area and perimeter for one of the last units of math, I started collecting a ton of fantastic ideas and FREE resources to teach it. 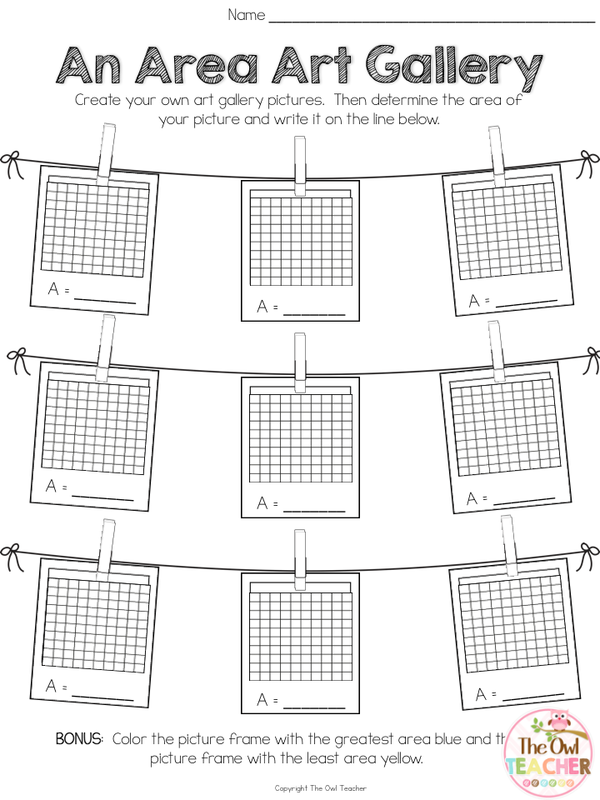 Over at my blog you can, not only read up on lots of fantastic ideas but you can also, collect this cute little freebie that I created to go with the collection! 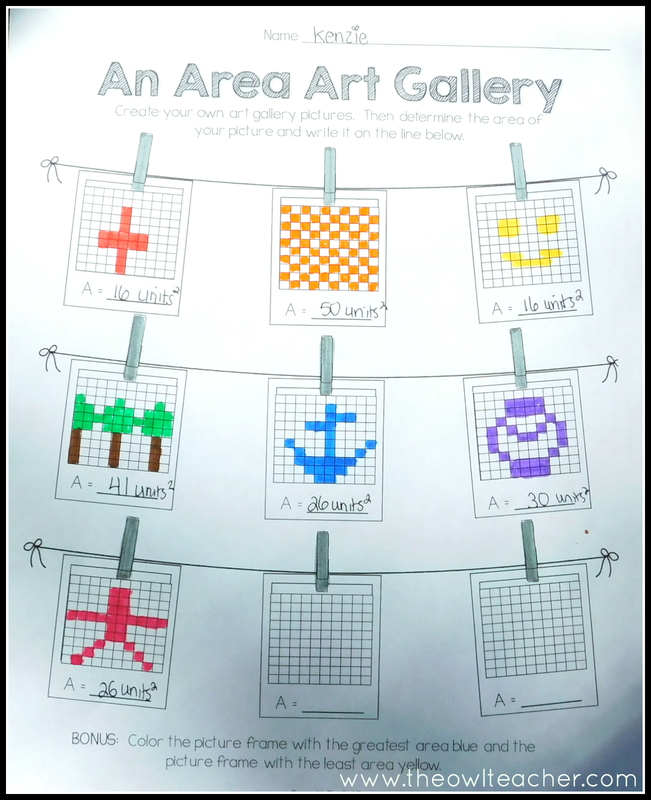 This freebie is where students can create their own "Art Area Gallery." 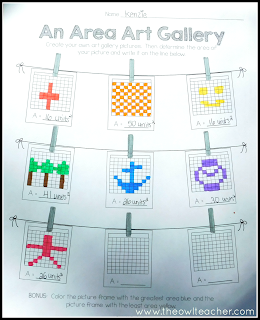 Students create pictures and then determine the area of them. 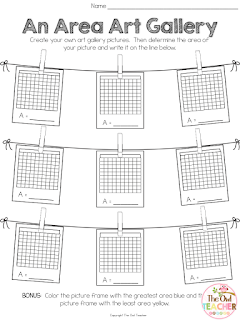 You can get this freebie and gather some great ideas and free resources over at my blog with my collection of area and perimeter blog post by some great teachers! Hope to see you soon... and it won't be long before we are enjoying our summer!